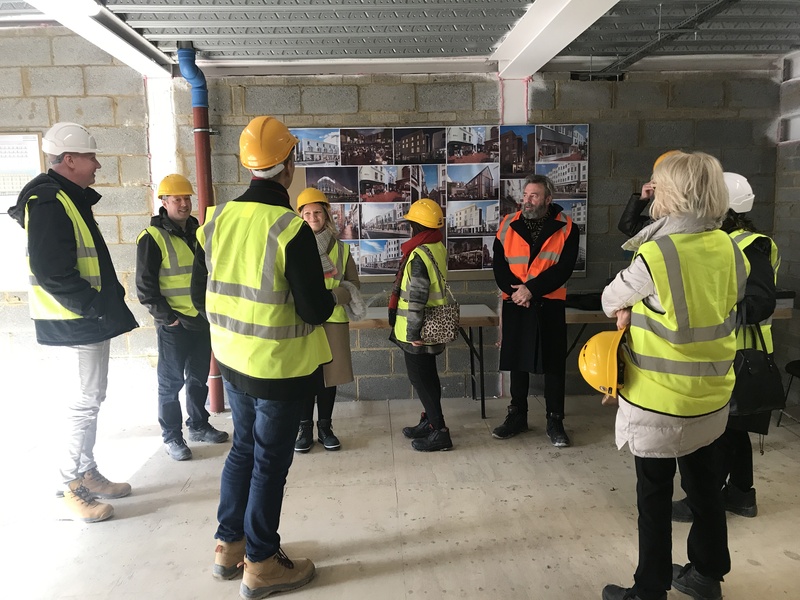 As the new Lane takes shape and ahead of its opening next month, Redevco and architect Morgan Carn Partnership were delighted to invite local Lanes businesses and representatives from Brighton Business Improvement District (BID) for a preview. Andrew Foulds, Portfolio Director at Redevco thanked them for their support and understanding during construction works. He explained that many of the design and construction team had never worked on such a complicated build, but they were absolutely delighted with the results. The group walked down the new Lane, into some of the new shops and peeped into the offices above. 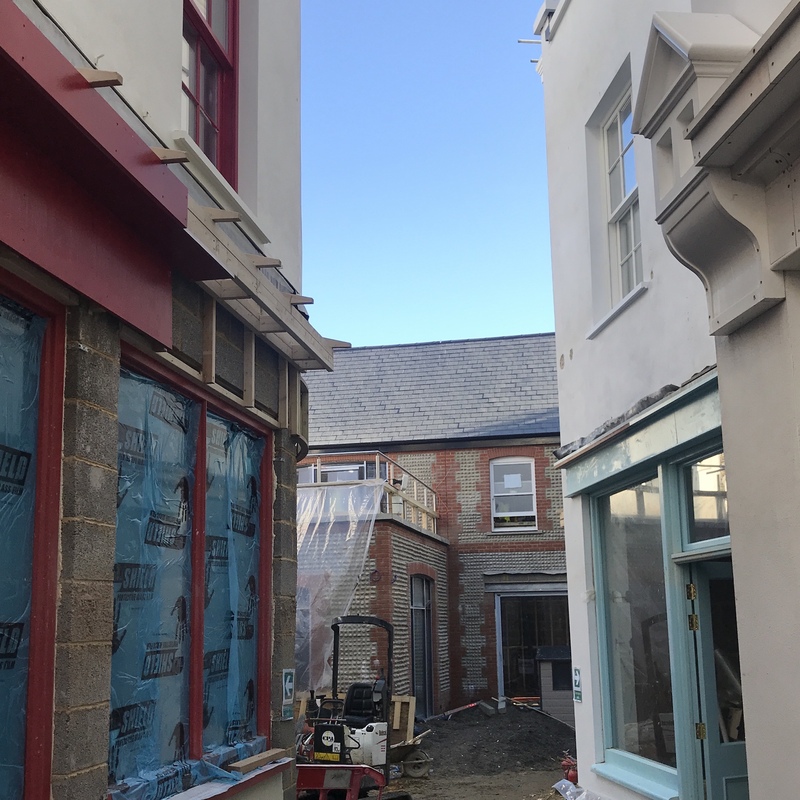 They saw Gingerman Restaurant Group’s latest venture, The Flint House, being fitted out and learnt about the restoration of Puget’s Cottage, a new Green Wall and two art projects which are sure to become major features within the Lanes. 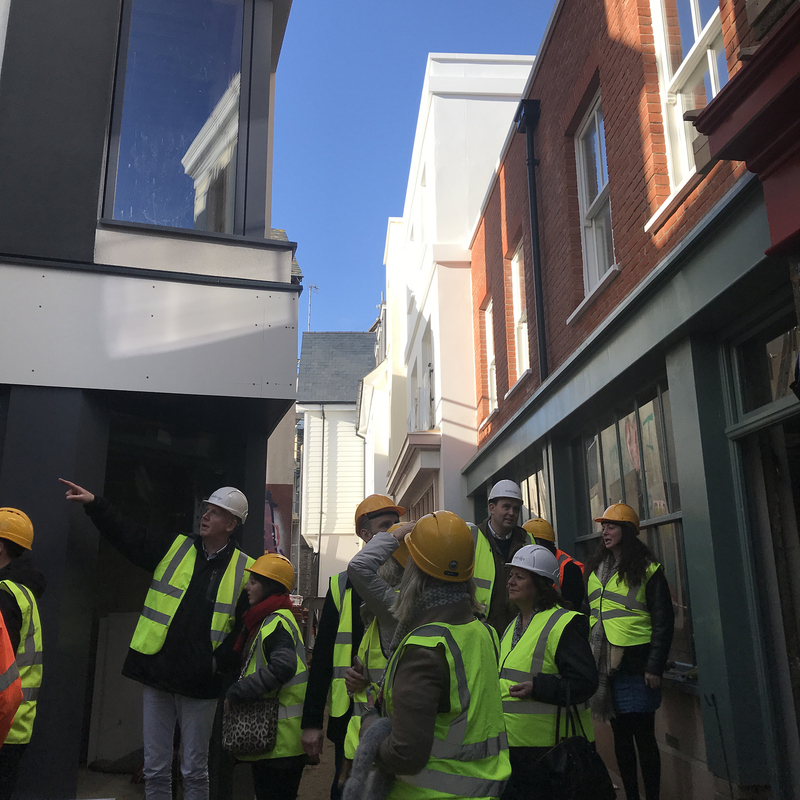 Denise Taylor, Secretary of the Brighton Lanes Traders Group and Chair of Brighton & Hove City in Bloom comments, “Businesses in The Lanes have engaged with the architect since early proposals in 2015 and the developers thereafter. The majority of the Brighton Lanes Traders Group has supported this project to ensure the regeneration and survival of the Old Town. The huge investment in the development of the area and the opening up of a new lane to link with the original mid-eighteenth century layout is vital for the sustainability of The Lanes and surrounding areas.